Our Web Hosting is perfect for individuals & businesses! Super value for money web hosting on fast SSD cloud servers. Reliable Windows shared SSD hosting on a rock solid could platform. VPS servers powered by SSD storage & full control to host your apps. Optimised & Secure WordPress platform with auto updates enabled. All of our shared web hosting plans are on 100% SSD storage drives which ensures a fast and resilient platform. Your websites will load fast due to the fast I/O speeds that SSD storage can deliver. Regardless of what another user is doing on the platform the performance of your website is not impacted. We also use a cloud based load balanced platform to ensure there is no single point of failure. Each and everyone of our shared hosting plans includes FREE wildcard SSL certificates. You can protect all of your domains subdomains and add-on domains with a wildcard certificate. We use the Let’s Encrypt SSL service for our free SSL’s. The Let’s Encrypt CA (Certificate Authority) is secure, transparent, open and free for everyone to use. You will never need to pay for a standard SSL again regardless of how many domains you host with us. Search from your business domain name today! Our hosting platform is perfect for your website if you intend on processing payments online. We provide a fully PCI-DSS (Payment Card Industry Data Security Standard) compliant hosting environment for you to securely process payments. Our web hosting platform is actively managed to ensure that its kept up to date with the ever changing requirements of PCI DSS. You’re in safe hands with Umbrella Host. We can assist you to transfer and migrate your existing website to our web hosting. We will assist you in moving over all your website files, databases and even your email accounts and data. Migrating your website from your existing web hosting provider is pain-free. We help migrate everything and before you change the nameservers you can test and ensure your site works as expected on our hosting platform. After your happy, you can flip the nameservers to ours. This will ensure the least amount of downtime for your website and emails. If you are not satisfied with our web hosting services over the next 30 days then we have a no-quibble money back guarantee. NO questions asked and instant refund guranteed. Do you need web hosting that just works? a web hosting provider that would enable you to concentrate on your business? and not be running around trying to fix issues with your website? Our aim is to provide consistently reliable web hosting for individuals and businesses alike. When so much of your business relies upon your website and emails working, choosing the right hosting provider is everything. 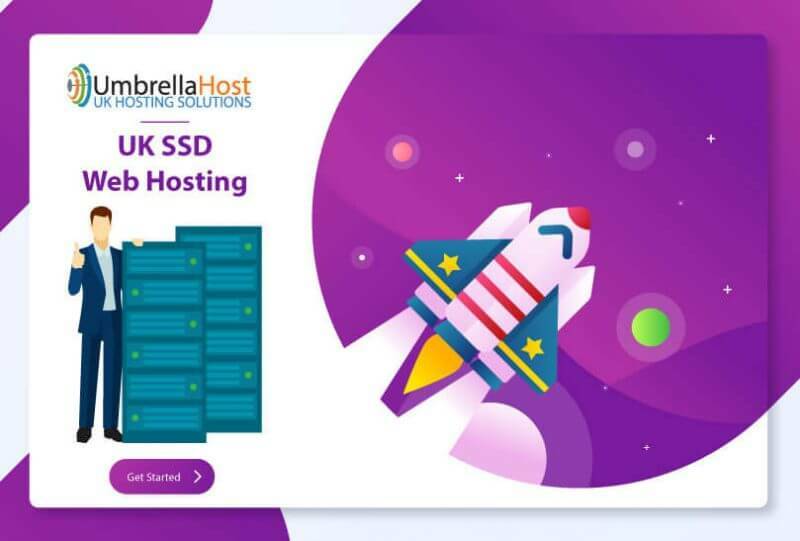 Hosting your website with Umbrella Host allows you to focus on running your business and worrying about your website hosting. You can leave that to us! Over 60+ apps to instantly install in 1-click to use with your web hosting plan. The most popular apps are included like WordPress,Magento free. We provide a 99.9% uptime guarantee with all our shared hosting plans. Aside from any scheduled maintenance we have planned your website will always be up. Secure payment processing with SSL’s and PCI-DSS compliant hosting to start running your ecommerce website. Ready to integrate with your payment system. Our web hosting platform is load balanced and based in the cloud. This ensures your hosting is consistently fast with no single point of failure. Our Linux, Windows & cPanel hosting environments are ultra fast and your website will benefit from faster page load times. Our UK shared hosting platforms are located in state of the art data centers based in London, Leeds, Nottingham & Manchester. Shared hosting plans include as standard a WAF (web application firewall) to keep your website safe and protect sensitive data. A website malware scanner is included as standard. Your website is important & we want to make sure it doesn’t get infected by Malware. Your email is equally important & we want to make sure your emails get through to inboxe(s) and not spam box. We are 99.9% efficient at detecting Spam. Our friendly UK team of professionals are available by phone, chat & email to support you & answer any questions you may have. We have a near instant web hosting setup procedure from the time of placing an order. Get your website up and running in less than an hour! We provide affordable UK web hosting services, but we keep the quality high. You will get excellent value for money on any of our hosting plans.